WAEC Syllabus for school candidates (May/June) and Private candidates (GCE) are available here. Are you in need of the latest syllabus to get you fired up for the coming West African Senior School Certificate Examination (WASSCE)? If yes, your search ends here. So instead of searching for expo every time, why not prepare well by availing yourself with the necessary materials to excel. So, we have compiled the syllabus of some major subjects in WAEC for candidates preparing for May/June, Jan/Feb and Nov/Dec WASSCE. Some of the subjects include General Mathematics, Further Mathematics, English Language, Literature – in – English, Hausa, Igbo, Yoruba, Biology, Chemistry, Physics, Agricultural Science, Government, Economics, Geography, Civic Education, Christian Religious Studies, Islamic Studies, Financial Accounting, Commerce and many more. thankx for this menh!! when is the may/june registration starting?? @Whisky, it has started already. Sorry Pls, is this the syllabus for may/june next year? I.e 2014 may/june syllabus and which one is for technical drawing? @tunde, that means your device doesn’t support PDF. Every waec exams have been interesting for me even though it happens to be my very first time exam of waec nature! Fellow students preparing for the 2014 May /June wassce,let us show the light in us at this tunnel of our Senior School schooling and crown the former years with the glory our countries await to shower on us as we succeed. Merry Christmas and goodest of luck if grammar should permit me or better still,best of luck to us all. you have updated those syllabus. @alima, you can enroll. The sales of the form should start by June 2014.
when is the registration closing date? peter I think u are right. I find wise time browzing the time table.What is ur best date cause some dates are really bad to talk over! @Yutex, we are still working on that. Pls if it’s the one for 2003-2005 syllabus send to me for now before the new one will come out. God bless ur effort Amen. Blessing Nzube, you can download them from the links provided in the post. @oludare, they are the same. Pls what abt core science? Pls I need waec and ssce syllabus 4 2014 exams thanks and God bless u. Blessing Nzube, the syllabus will be updated as soon as WAEC release them. The syllabuses are ok, i mean they are fantastic. But i can’t find agricultural science among them, why? please,you just have to help us with this syllabus……update it as soon as waec release it.More over,as the registration for waec started? 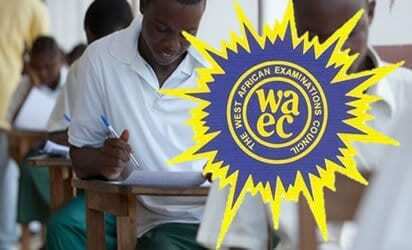 Uthman Agbolahon, WAEC may/June 2014 registration has begun. The syllabuses would be updated immediately WAEC release them. Uthman Agbolahon, be patient, the syllabuses would be updated sooner. whats the difference between this syllabus and the new syllabus that is yet to be released? Uthman Agbolahon, some new subjects have been introduced. @Uthman Agbolahon, waec new syllabus will be out before the ending of this year. Please, I want a specification about the subjects to be taken by commercial, arts and science students. I learnt that there are new subjects included in the syllabus. Christopher Chidiebere Okorie, new subjects have been introduced into secondary schools curriculum. You should be able to get that from your school. @Anele dabi, that’s what WAEC releases for now. Let just wait till the new syllabus is released very soon. Is dis the 2014 sylabus for waec? @Anele dabi, Yes it is. Use the WAEC syllabus. They are both using the same thing. You have to keep checking your results often. Some results have been released already. Please do you know how I can also get a soft copy of the syllabus or school curriculum for primary and junior secondary school? You are doing a great job here! God bless you. Primary School and Junior Secondary school syllabuses are not currently available. You can get them from any primary and secondary school nearest to you. Hi. I discover that the syllabus posted for literature in English was that of 2003-2005. Does it mean it has not change or the update has not been done? That’s what WAEC release as syllabus.